Welcome! The lobby of the Deranged L.A. Crimes theater is open! Grab a bucket of popcorn, some Milk Duds and a Coke and find a seat. 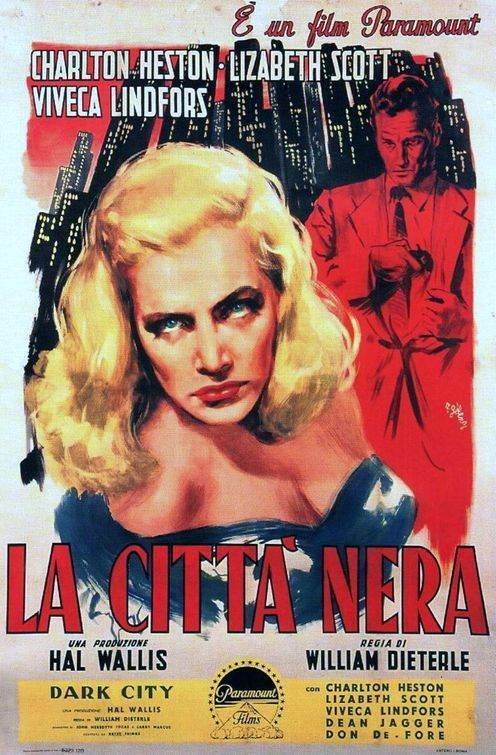 Tonight’s feature is DARK CITY  directed by Hal Wallis and starring Charlton Heston and Lizabeth Scott. Welcome! The lobby of the Deranged L.A. Crimes theater is open. Grab a bucket of popcorn, some Milk Duds and a Coke and find a seat. 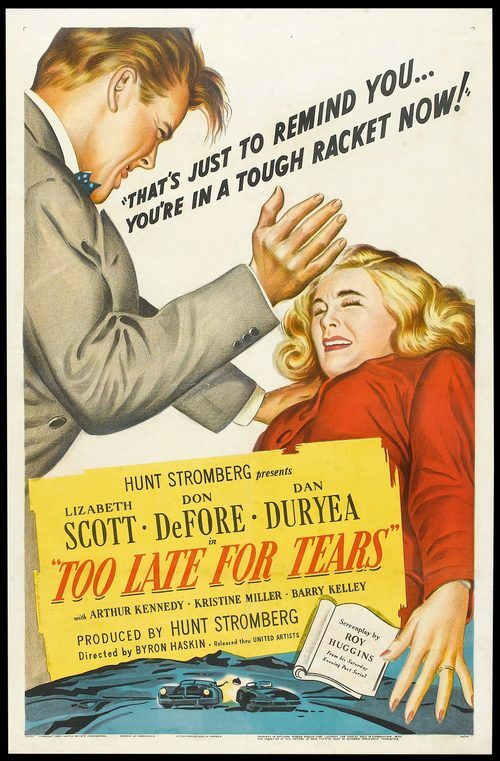 Tonight’s feature is TOO LATE FOR TEARS  starring Lizabeth Scott, Don DeFore and Dan Duryea. It’s not a great print but it is definitely watchable–unfortunately none of the prints prior to the recent restoration are very good Bear with it though, it is a terrific film. Lizabeth Scott is a total badass; the epitome of the noir femme fatale. If you’re in L.A. and can get to the Egyptian Theater TONIGHT a restored print will be shown as part of the Film Noir Festival. If you miss this particular film don’t fret, the Film Noir Festival runs from March 21, 2014 — April 6, 2014. For other news on Film Noir Los Angeles, check out Facebook.